A. While I was pursuing my teaching profession, at times I used to enroll myself in short courses and workshops to learn various art forms like Mural Art, Decoupage, Mixed Media, and Palette-knife Painting. I used to keep following updates by artists and crafters on YouTube as well. 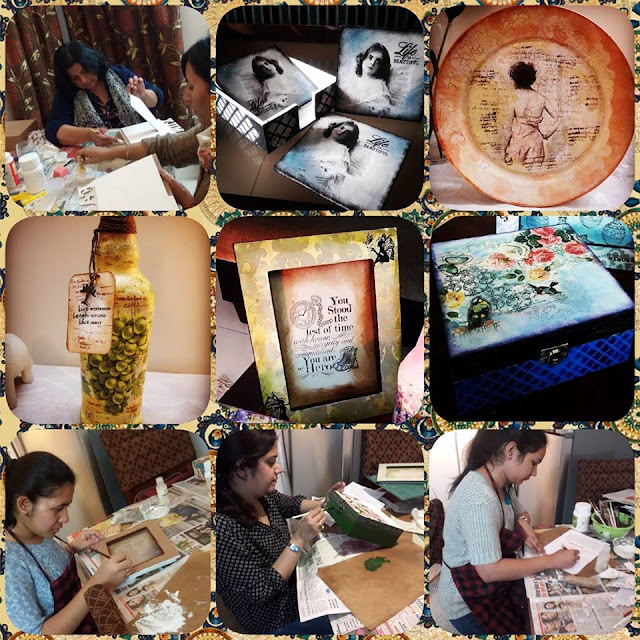 My thirst for learning and experimenting with various art forms still persists; and I try my best to keep myself up-to-date with the latest happenings in this particular field of work. A. It was tough initially. Though I never let go of my paints and brushes, but dealing with murals and associated materials was a problem. However, I always used to put down my creativity on simpler and easily obtainable objects like glass bottles, canvas, wooden boxes which I would gift to my friends and family. Now with the online boom happening in a big way, it was a godsend for me as I could order and get hold of the required raw materials at most places. A. 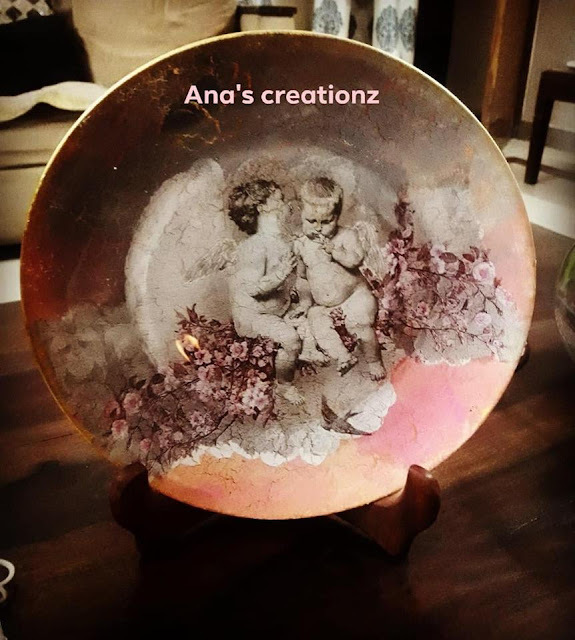 Marketing in remote areas is mainly through word of mouth; and I do have a Facebook page ( https://www.facebook.com/AnamikaCreationz ) and I do take orders online. Thanks to the new age of the internet, I have gathered a few clients; however most of them come from the same Fauji crowd. C. How do you juggle that load of social commitments and welfare activities that are an integral part of the Fauji community, while nurturing your passions and meeting deadlines? A. My work is more of a stress-buster for me. It de-stresses me and I always take the time out to keep my creative juices flowing. Mostly I work at nights when there are no distractions and I can continue to work uninterrupted. I have never transformed my passion into a full-fledged profession, and hence it has never been a load for me. 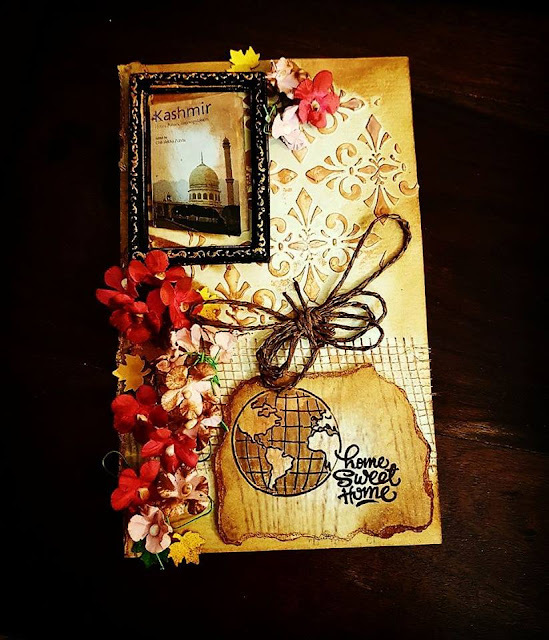 C. As a creative/ entrepreneur+ Fauji wife, is there something that you cherish very much about being a apart of this community? And is there something you feel must/can change for the better? A. 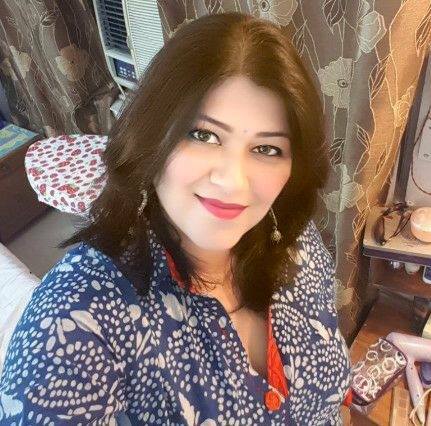 The best part about being a Fauji wife is that you gain a family outside your own family, and the Fauji fraternity is always ready to go out of its way to help each other. The biggest proof is the very fact that not having known you personally, you have agreed to include me in your Series - 'The Brigade That Builds Brands'. There have been instances where relatives have turned away their faces while our Fauji friends have gone beyond their capabilities to help us. I have no regrets in being a part of this wonderful fraternity and love every single moment of it. I am proud to be a Fauji Wife. A. Well, I wouldn’t call them challenges as my work has always been a stress-buster for me. I love my work and can spend hours creating stuff. Fauji life - I love every bit of it; and balancing these two has never been a problem for me. C. What tips would you give to Fauji wives out there who'd like to pursue their dreams while living at small and busy bases (many still believes or led to believe that you can either be a Fauji wife or a professional, and that's not true)? A. I would like to advise them to never stop chasing their dreams. It is never too late to start something new and nothing more satisfying in doing something you enjoy and love. Just chase your dreams and soon you'll find your wings to fly. C. A parting quote or philosophy that helps you to stay calm and do what you do? A. Sometimes there is no time to wait for the sea to calm down; if you have to reach your destination, let your voice start and let the storm be your part!